Specially designed for the maintenance of the Handpan! Thanks to the presence of natural ingredients and essencial oil with antibacterial effect, it helps to create a protective barrier on the surface without leaving residue and giving shiny finish. Phoenix Handpan Oil doesn't contain aggressive or acidic substances. The pleasant scent of lemongrass is the natural smell of some ingredients in our secret formula. 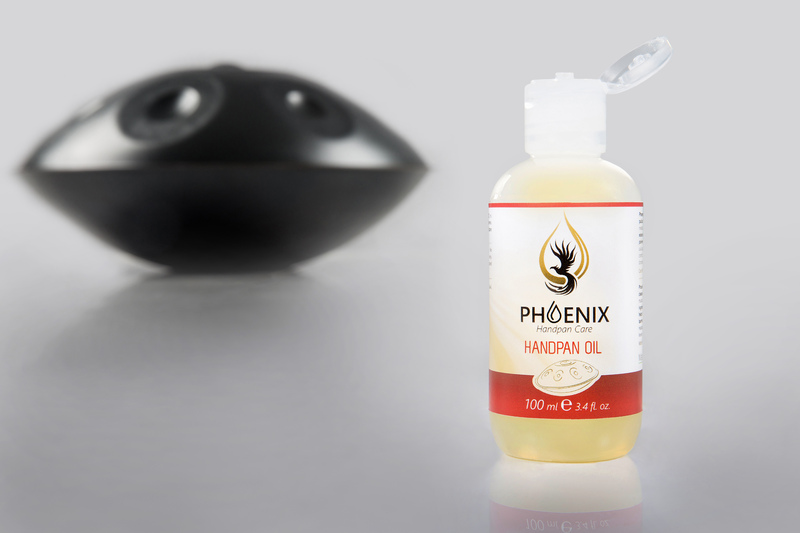 Phoenix Handpan Oil is not sticky and can be removed easily from your instrument and from the cloths used to clean. Phoenix Handpan Oil doesn't leave residue on the instrument.